It is about 16 km from Kannur town in Kannur district of north Kerala, south India. The Snake Park is a famous landmark in the district of Kannur at Parassinikkadavu, en route from Kannur to Taliparamba, 2 km from National Highway(NH) 17. The only one of its kind in the State and perhaps the whole of India. Here one gets to see a large variety of snakes and other small animals and there is even a live show, where trained personnel play and 'interact' with a variety of snakes, including cobras and vipers, and seek to quell mythical fears and superstitions about snakes. 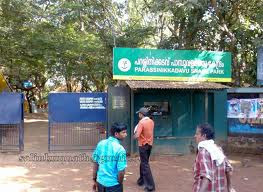 The Snake Park, set up by the Visha Chikista Kendra at Pappinisseri, has been a centre of attraction to both foreign and domestic tourists. 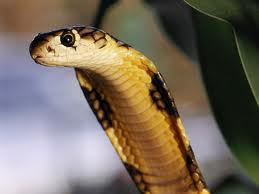 The snake park here houses about 150 varieties of snakes including the Spectacled Cobra, King Cobra,Russell's viper, Krait and various pit vipers. 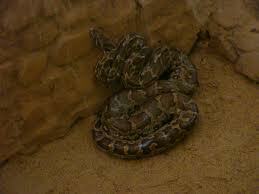 There is also a large collection of non-poisonous snakes including Pythons. The park is dedicated to the preservation and conservation of snakes, many species of which are gradually becoming extinct. 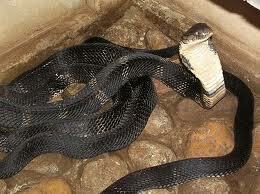 A research laboratory to extract venom from snakes is proposed to be set up here.